Betty Gordon Benton 63 Harbor, transitioned on August 28, 2018, at Hanson Hospital in Stevensville, MI. Betty Jane Gordon was born November 18, 1954, to the union of Troy and Artist Marie Kimble in Palmer, Missouri. In 1966 her family relocated to Benton Harbor, Michigan, where she passed peacefully on August 28, 2018. Betty confessed her love for Christ at an early age. In 1973 she joined Sweet Home M. B. Church under the leadership of the late Pastor H. C. Christian. While a member, on June 23, 1973, Betty married her husband of 45 years, Rev. 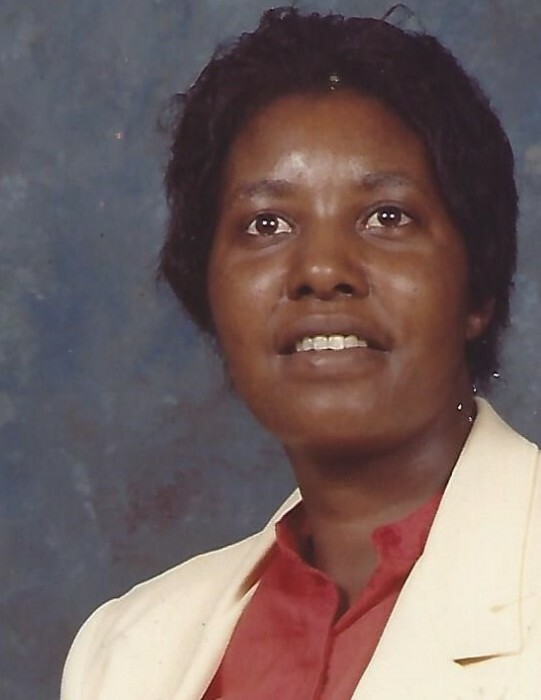 Louis V. Gordon Sr. She was a member of the Nurses Guild, Senior Choir, Motherboard and Church Secretary. Betty and her husband later joined Israelite M. B. Church under Pastor Joe N. Burins, where she resided until God called her home. Betty loved being with her family! She made time to give each and every person in her life the love and support they needed, especially her grandchildren. She enjoyed going to bingo with her sisters, Barbequing, knitting, and her crossword puzzles. She had a kind spirit and a giant heart and was loved by anyone who crossed paths with her. Those who knew her for her favorite gospel song, “God has smiled on me”. Betty leaves to cherish her precious memories, her husband, Rev. Louis V. Gordon Sr. Her 6 children, Jerry Kimble Sr of Benton Harbor, MI, Albert Jones Fayetteville, NC, Margie Albert) White, Louis (Vastoria) Gordon Jr. Benton Harbor, MI, Demetrius Gordon and Gloria (Elmore)Walker Benton Harbor, MI. Six sisters; Barbara (David) Hunter Minneapolis, MN Rosie (Kenneth)Haley, Ann Wilson Benton Harbor, MI, Carrie (Charles) Myles Rockford, IL, Barbara Peacock, and Ernestine Kimble Grenada, MS, and two brothers; Freddie Kimble Battle Creek, MI, and Andrew “Honey” Kimble Grenada, MS. Special godchildren; Tonya Campbell, Rochelle Rice, Marci Dixon, Tisa Young, Carmon Houston and Tiffany Bell. Betty had 22 grandchildren and 8 great-grandchildren. Betty was preceded in death by her parents, Troy and Artist Marie Kimble, five sisters; Babe Ruth Cooper, Sully Kimble, Catherine Kimble, Mary Bridget and Abby Mae Williams; and two brothers; Robert Lee Kimble and J. B. Kimble. One grandson, Ja’Vrius Gordon, and two nieces; Patricia Kimble and Alice Hodges and one nephew Steven Kimble. Legacy farewell service will take place on September 8, 2018, at Israelite Missionary Baptist Church 1715 Highland Ave, Benton Harbor, MI 49022 with visitation starting at 10:00 am followed by service at 11:00 am.